I’m in Israel now, and I’ve come across a situation that I don’t know what to make of; perhaps you can help. I’m asking you because you’re the only religious person I know. Basically, I bumped into an old classmate of mine. She is studying here in some Jewish seminary, and she has become religious. After speaking to her for about five seconds, I felt that she has been brainwashed. The way she was speaking was as if she was in a cult. It was a bit scary. I have nothing against religion, but could it be that religious Judaism is a cult? While it is not a cult, even Judaism can sometimes be used in ways that are disturbingly similar to how people behave in a cult. What is the difference between a cult and a religion? Most people define the term “cult” so vaguely that anyone with strong opinions could be classified as a cult follower. The best working definition I have heard is this:I have nothing against religion, but could it be that religious Judaism is a cult? A religion is a movement in which people find themselves; a cult is a movement in which people lose themselves. A cult hijacks your identity and makes you into someone you aren’t. A true religion should enhance and deepen your identity, to make you a better you. People who find religion go through changes. They learn to explore parts of their personality that they never knew existed. As a result, they often re-evaluate themselves and their lives. All growth is accompanied by some upheaval and instability, so they may go through a short period where they seem a bit weird to their friends and family. They may even missionize a bit, and try to “convert” everyone around them. They mean well—they just want to share their newfound inspiration with those they love. This is normal, and the family should try to be patient. However, if they start to turn into someone else altogether, if they seem unrecognizable, then there could be cause for concern. If they lose their personality, their sense of humor, their interest in others, or their ability to think, then they may have lost themselves. If these symptoms persist, seek rabbinic advice. They may have fallen prey to a cult—or are using a religion as a cult. Cults demand that you jump in unquestioningly. But when you make such sudden changes, you will have to leave your self behind. This is not the Jewish way. Judaism encourages questioning, even honest skepticism. Jewish spiritual development is done gradually and with thought. That way the changes will be real, as they integrate and harmonize with your personality rather than overwhelm it. Give your friend some time. If she is indeed brainwashed, it probably won’t last—she will jump out as quickly as she jumped in. Judaism can’t be used as a cult for long. But more likely she will settle to a balanced medium, where her old self will come back again, but with a depth and direction that she never had before. Sometimes you have to lose yourself a little bit to find yourself again. Is it Okay to be a Hypocrite? How Do We Know Whom To Believe? Why is My Family Insulted by My Kosher Diet? And if they don't, how are we supposed to know what to do? Important: No Jumping In/Out of Cults While the Rabbi may not have intended to do so, he makes a dangerous and groundless claim in advising, "If she is indeed brainwashed, it probably won’t last—she will jump out as quickly as she jumped in." Belief is a belief and Faith is Faith That is So true about how people perceive religions and spiritualities. Belief is a belief in what you heart desires and Faith is faith of how you see life with Love for what you believe in those who motivates and inspires you to be the best. Cult and Bnei Brak Culture When I walk the streets of Bnai Brak and look at the similarly dressed and similarly behaving people there, I often wonder if this is indeed a Jewish cult. 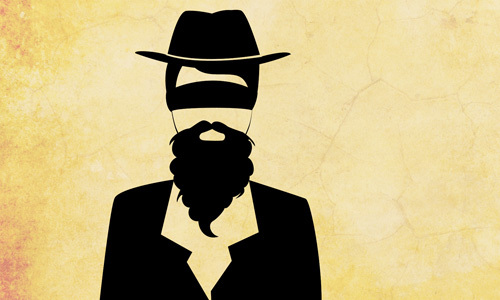 The case for being born into a way of life is not mentioned by writer Aron Moss, but it is obvious to me that many of the Jews who are living that kind of hasidic orthodoxy are not thinking about how their religion is affecting them--they are simply following the "rules". The reverse question Why does no one ever ask the reverse question: is secularism a cult? I grew up in an almost completely unobservant home, and found Judaism as an adult. I have family members who are extremely contemptuous of Judaism. My nephew is 18 and has never been permitted to have one single hour of Jewish education. If someone says to him "Sh'ma", he won't know what the next word is. A family member exploded with rage when I wouldn't buy her shellfish. Some people are looking to escape from the world, or looking for a place where they can check their sense of self in at the door, or even looking for a cult. Sometimes they find their needs met in an orthodox Jewish setting. Sometimes they find orthodox enablers, and sometimes they zone out despite the best efforts of their mentors. Doesn't mean it that orthodox Judaism is supposed to be a cult, not does it mean that it functions as one to the vast majority of its adherence. Even with a very emotionally healthy person, depending on the particular group that they have become affiliated with, they may well be trying to 'jump in to the skin' of a very different culture and mindset than the one that they grew up with - in a relatively short time.